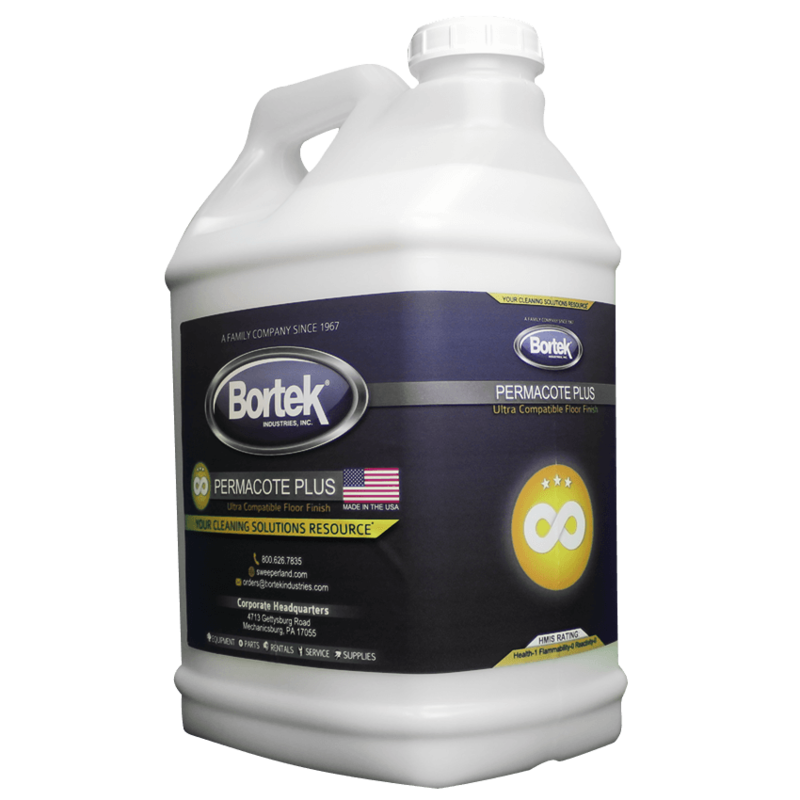 Permacote Plus- Ultra Compatible Floor Finish- Bortek Industries, Inc.
A polymer floor finish designed to work almost anywhere, with almost any equipment. Permacote Plus provides high durability and gloss. 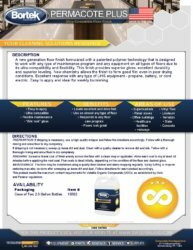 A new generation floor finish formulated with a patented polymer technology that is designed to work with any type of maintenance program and any equipment on all types of floors due to its ultra-compatibility and flexibility. This high-solids finish requires fewer coats and provides superior gloss, excellent durability and superior leveling. New chemistry allows the finish to form good film even in poor drying conditions. 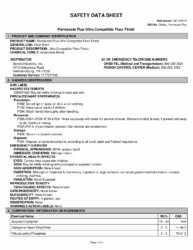 Excellent response with any type of UHS equipment – propane, battery, or cord electric. Easy to apply and ideal for weekly burnishing. FINISHING: Spread a liberal coat of finish evenly across the floor with a clean mop or applicator. Allow each coat to dry at least 30 minutes before applying the next coat. Four coats are ideal initially, depending on the condition of the floor and desired gloss. Weight per Gallon 8.68 lbs./gal.